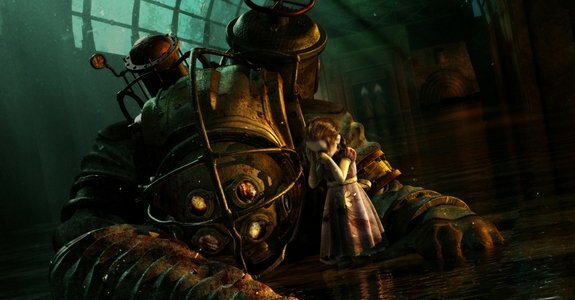 I felt horrible taking down a 'Big Daddy' in the first Bioshock title. I've always connected with games that offered more of a strong narrative with it's characters and story above most other aspects, but now it seems that this factor and the emotional responses it stirs up are becoming even more important to me and changing my outlook on games in general. I've never been a big stat tracker, I don't ravel in the idea of maxing out characters for the sake of showing them off, I don't give two shits about "presteiging" nor do I care if I beat a game on super hard mode or have the trophies/achievements to back that up. After finishing my first sit down with PC title 'To the moon', I noticed that I had thoroughly enjoyed the session, possibly even more than I've enjoyed my first forays into both recent titles Doom3BFG and Dishonored. That's saying quite a bit, as I rather enjoyed what I've played of those titles thus far. But it got me thinking. Are there other games, be they smaller or largely publicized titles that have captured me and toyed with my emotions? Strangely, yet wonderfully, the answer is Yes. Two titles stuck out in my mind as having a stronger grip on me than any others of recent memory; both of which were smaller download titles, but both also seemed to hold gameplay second to the experience and it's really what sparked the idea for this blog. The first of these titles is 'Papo & Yo'. A title that gives you control of a boy dealing with growing up with an abusive, alcoholic father. I don't connect with this title on that level, however, as I didn't have a childhood like that, but the effect seemed to be the same. It's kind of cryptic at first as to exactly what is going on and what message it's trying to get across. But by the end, you'll understand what the creator and team wanted to say. There's a few scenes in the game that really took me back for a second and made me feel something more than just that fulfillment of being entertained. There were times where I felt a simple whimsical joy, I assume not unlike that of a child. I felt uncertainty when it came to monster and trusting him. Then I felt a sense of dread and a bit of fear when it came time when monster did show his aggressive side. This actually surprised me... as I've grown up on video games... I've played tons of them, I've hacked up, shot down and mowed through thousands of enemies in tons of games over the years, laughed at horror games trying to scare me and yet... this game tug at my various emotions. It's not even a groundbreaking game, it's decent, but not something a lot of people would even consider for some kind of "top 10" list. Yet, it is what it is and it stuck with me. There's a particular scene near the end, which the game gives you a solid 5(ish) minutes to take in and think about, as they play out a scene quite slowly and is something I'll probably never forget as long as I'm on this earth. It brought the idea of the game together, but... it made me think of the situations I had just gone through in a different light, pushed me into considering a different perspective... I was floored. 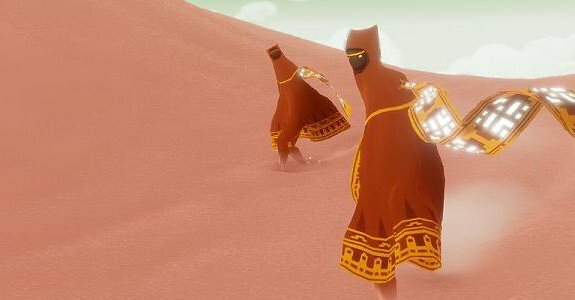 The second title to reach into my repertoire of emotions and bring something to the surface is Journey. 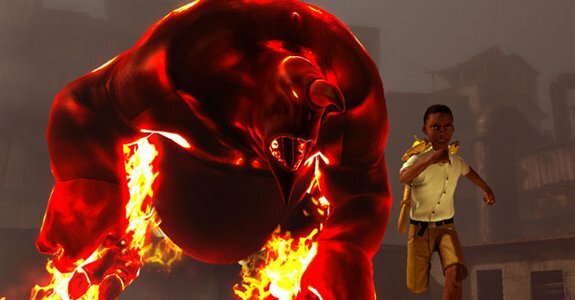 Like Papo & Yo, Journey had an air about it that attracted me to it, even if I didn't have much of a clue as to the whole idea behind it. Starting out, you're not really told much of anything, be it a plot line or how to control the experience (outside of 'X' jumps) and you're left to explore, albeit guided very gently to where you need to go. Very gently is a key word as it has more to do with the structure of the levels than it is the game telling you that you should go a certain way. Exploring the game at first, by yourself, is interesting, you're left to just figure out what the rules of this world are and how you play a part in this space. Later, without (the developers) telling you, you're introduced to levels in which other players (actual people playing at the same time) are integrated into your game as characters that look just like you. On my first run-in with one of these beings, I was excited to see another character and then intrigued by the behavior of (what I thought was) this NPC and then the joy of learning that it was in fact another person. No communication tools are available in the game, you have a jump button and a sort of "Shout" button which sends out a bit of a dissipating orb that grows from your body. But quickly, you learn to communicate with the other player with these simple tools and from there it gets even better. Journey, with a friend is rather rewarding. As you Journey with your friend (if you two stick together that is, if you go ahead by yourself, new players will load in instead of waiting for the player you were playing with first) you learn new things about the world. About who your character is, why they are here, where here is and what happened to this place. I don't want to ruin the experience for others, so I'll not tell you about how the game ends and how everything comes together. But suffice to say, it's one hell of a ride. Aside from the varied reactions I had to learning I was playing with another person, I also felt a bit of partnership with said character. In one play through I stuck with the same person for the whole game and we helped each other out. I felt pride in finding some hard to find pieces of scarf, I felt fear when a dark element is introduced in the game. Said fear turned into hand clenching excitement and a furthering of that fear as I tried my best to hide and then flee wildly from said dark force once spotted in a certain cavernous part of the game. I felt guilt and dread if a friend happened to get caught by this dark force. But it's the end of the game (much like Papo & Yo) that really shocked me. Again, not detailing it, so as not to ruin it. The end toyed with my emotions so much... I felt drained when I finally let the credits roll. I felt anger, a bit of regret, then sadness then a weird acceptance and ultimately joy and calm as I hurled towards the end goal, completely at peace with what exactly happened. When I did put my controller down, I noticed my hands were shaking a bit, I was on a bit of a high of emotion and I just felt like I had been on the emotional trip of a life time in the matter of a few hours. I never would of guessed that these two titles would of evoked such emotions in me and it makes me excited to see what else I can experience. Hard to say if 'To the Moon' will hold a similar experience, but it's kind of leading that way and I'll be pleased if it does. Thinking back on it, games like the Mass Effect series and the Uncharted series, which are a couple of my top games this generation in gaming, are in my top lists because of their characters and the emotion they're able to bleed into them. Perhaps it's not quite the same thing as the titles mentioned above, but it's interesting that the human connection is what draws me to them more than the game-play. I have no doubt that such a thing is connected to my maturing as I continue to grow as a person, my values changing as I do, but it's still kind of surprising and exciting at the same time. 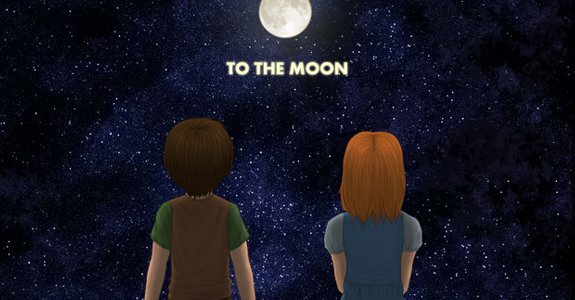 I hope 'To the Moon' is just as powerful as the above titles. David Cage, director at Quantic Dream, behind games like Omikron and Heavy Rain expressed his love for this very thing (the human connection) and communicating it through his titles. I wasn't sure if I agreed with him in saying that games need to have this sort of thing to strike a cord in the hearts of players... but I'm starting to believe he may be right. No, not every game needs this all of the time, as games are wide in variety and genres, but for me at least, I think I'm going to start needing these kinds of things for a game to stand out with me as I get tired of mindless violence and by the numbers gaming that never gets me invested into it's story. It's exactly why Call of Duty, especially it's multiplayer, means almost nothing to me. Granted, I've also made connection with various games over the years, cared for their characters, shed a tear at certain events, felt a heavy heart at others and had those experiences stick with me over the years, but the impact seems to be greater now. In closing, I'm loving this new breath of life in gaming and hope to see more of it as time goes on. Do you, readers, have an suggestions for stronger emotional titles?